Overload & Force Your Muscle To Grow! A muscle must be subjected to a stimulus that compels it to adapt and grow. If there is no reason for a muscle to grow, no hypertrophy will occur. Turn up the intensity and stop using light weight if you want your muscle to grow. Read on. A muscle must be subjected to a stimulus that compels it to adapt and grow. If there is no reason for a muscle to grow, no hypertrophy will occur. Muscles increase their strength and size when they are forced to contract at levels close to their maximum. Much more weight can be lifted with compound exercises than isolation movements. More weight, more overload and in turn more muscle. A compound exercise is a movement that involves more than one major muscle group. It involves a primary muscle and one or more secondary muscles. An example of a compound exercise would be the barbell squat. The primary muscles are the quadriceps and the secondary muscles are the gluteus and hamstring muscles. An isolation exercise targets just one muscle. Isolating a muscle during resistance training limits overload and muscle fiber stimulation, therefore it limits growth. Dumbbell flyes are an isolation movement for the chest, removing the shoulders and triceps out of the movement. A common reason people do flyes is to shape the muscle. This is impossible to do- you cannot change the predetermined, genetic shape of your muscles. You can, however, make them bigger which may appear to change the shape. 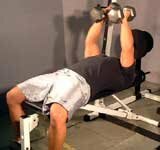 Isolation movements require less weight and limit overload. They have their place in any training regimen, but not to increase muscle size. Overload is the primary objective when muscle hypertrophy is the goal. Going through the motions will not produce results, you have to push your body to new limits in order to see increased development. Since heavy weight is the most influential stimulus for muscle growth, you must continue to strive for greater overload. Light weight doesn&apos;t do it, nor does moderate weight. Maximum overload is the only method that will force a muscle to grow. The degree of this overload ultimately determines the degree of muscle growth. Muscle "burn" does not stimulate growth, overload stimulates growth. The burning sensation that training brings on is believed by most to be a sign of a successful growth promoting workout. Many seek it out and strive to achieve this burning sensation as an indicator to building muscle. That muscle "burn" is not an indicator of an optimum workout. This burn is caused by infusion of lactic acid, a byproduct of glycogen metabolism in muscle tissue. Things like "feel the burn" are not really what building muscle is about. The burn is a good indicator of performing an exercise correctly and targeting the muscle properly. You can get a good "burn" by doing 20 repetitions. 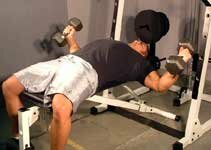 However, training at that rep range does not efficiently overload the muscle. The muscle "pump" you experience when training is a result of blood actually being "trapped" in the muscles being trained. It is certainly a good psychological boost during training and accompanies just about all resistance exercise. The pump will become greater as your muscles grow larger. Now while this muscle pump is not really a bad thing, it is not necessarily an indicator of optimum muscle overload. Many people seek out the muscle "pump" by doing high repetition exercises. Numerous studies have shown that high-resistance, low-repetition exercises are more effective than low resistance, high-repetition exercises in promoting muscle hypertrophy. The last point to consider is that muscles appear to have a memory effect that is significantly influenced by the last set that you did. If you finish each exercise with a heavy set, your muscles remember this and adapt accordingly. 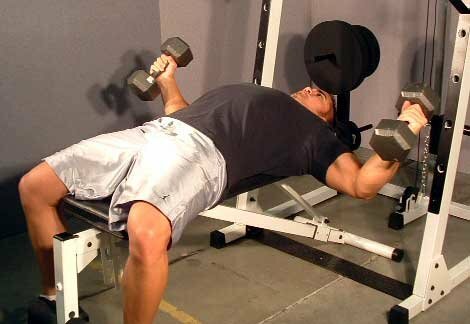 Many people decrease the weight on their last set and "rep out". This is detrimental to what you are trying to accomplish and will impede muscle growth. The muscle memory effect is an important physiological phenomenon and should be used to your advantage in gaining muscle size and strength. Intensity is defined as exceptionally great concentration, power or force. It is what separates those that make modest gains over the years from the ones that make massive gains year in and year out. If you look around the gym, it is easy to spot the people that train with a lot of intensity. Training with maximum intensity will literally force your muscles to grow, it leaves them no choice. They have to adapt - they have to grow. Intensity and overload is the key to muscle growth. Don&apos;t expect to see gains if you spend your time in the gym socializing, reading, or watching television. Move from one set to the next relatively quickly and keep the heart rate elevated. Here are some great tips that will help you get to the next level! The amount of stimulation you are able to deliver to your muscles will effect how much they respond and develop. It is not enough to simply put in intense effort and try harder by going through the motions and using momentum. Increasing the weight without controlling the movement will not produce results. You have to master exercise executions and implement the training techniques outlined in this book. Channel your intensity efficiently. Drive through the pain, but not at the cost of losing form and concentration. Intensity is almost more of a psychological factor than a physiological one. It is generated from the degree of your motivation. How badly you want to see gains. When your body screams "stop!" and you ignore the ache and keep going, you force your muscles to grow and respond. Intensity will be your key to success, regardless of what muscle group you are training. The mental intensity you are able to generate will cause physiological effects. Muscle protein accumulation and repair occurs when the rate of protein synthesis increases. The rate of protein synthesis in the muscle depends on the rate of entry of amino acids into the muscle cells. And the intensity and duration of muscle tension directly influences amino acid transport into the muscle cells. As the intensity and duration of muscle tension increases, amino acid uptake and the rate of protein synthesis increases. So protein synthesis is the basis of building muscle and can be increased by training with high intensity. Our current examination of proteins and amino acids will cover the metabolism of the protein we eat, dietary protein, and catabolic situations in the body. Time and workload are two factors that can be manipulated in order to increase intensity. Doing an increased amount of workload in the same time will surely make your workout more intense. You could also do the same amount of workload in less time. So add more weight to the bar, take shorter rest periods or do both to increase intensity. Again, do not do this at the expense of jeopardizing your form and concentration. Remember, motions mean nothing.